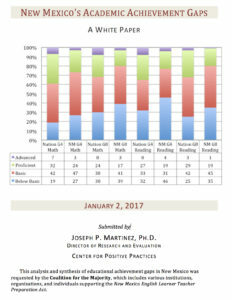 A new report by the Center for Positive Practices details how the New Mexico public education system has been unable to improve educational equity and justice for diverse populations. Download the free report below. Posted on March 1, 2017 by Admin.